Salman Khan is known for being a workaholic. This time the actor was snapped having a ride in his brand new car in Mumbai on July 6, 2017. 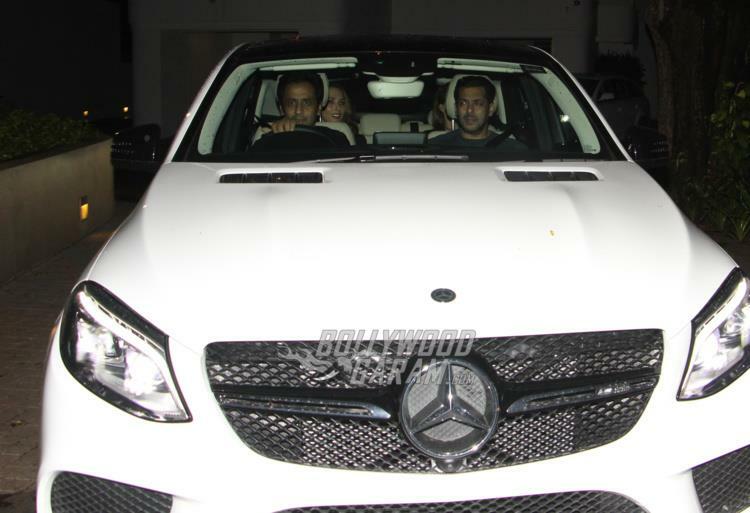 The Sultan actor was snapped as he came out of a friend’s house and was accompanied by rumoured girlfriend Iulia Vantur and close friend Sonakshi Sinha. Iulia and Salman continue to be snapped together on various occasions. However, the two have never come out in open. Filmmaker Karan Johar had once tried to find out about Salman’s relationship with Iulia on his show Koffee With Karan. However, Salman Khan was smart enough to give a vague answer without revealing anything about his relationship status. 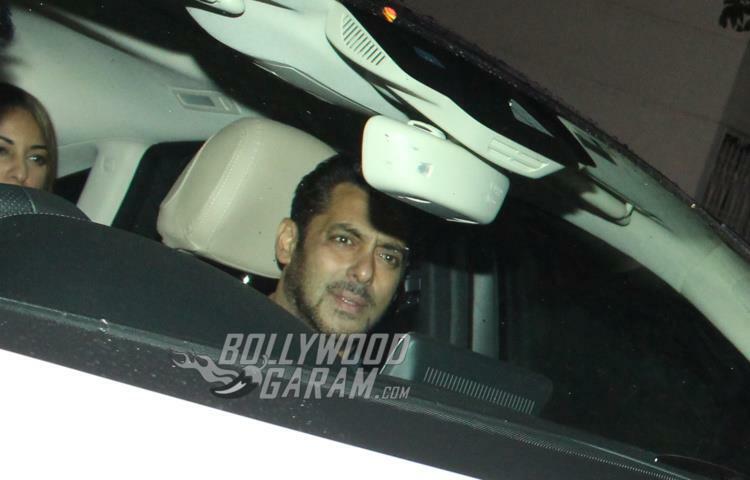 Going by the pictures it seemed like Salman, Iulia and Sonakshi had a great time together in the new car. Reportedly, Salman’s brand new car is a gift from close friend Shah Rukh Khan for the guest appearance, that the Dabangg star made, in the Shah Rukh Khan starer by Anand L. Rai. Salman made that appearance on a very short notice and King Khan really appreciated that. The car has recently been released, and no one yet owns it. No one but Salaman Khan! Next articleMovie Review - Sridevi starrer MOM is a must watch!